Lind Marine provides dredging services throughout the San Francisco Bay and Delta, and the Sacramento and San Joaquin Rivers. Whether you have a major new marine project to tackle or require maintenance dredging to keep a navigation channel open, we have the experienced operators and equipment to meet your needs. Our specialized barges and custom dredges allow us reach smaller, shallower areas that many other marine services providers can’t. Our state-of-the-art AIS (automatic identification system) allows other vessel traffic to remotely monitor the position of our dredging equipment. Our computer software allows our dredge operators to maintain a real-time, detailed view of the dredge location, dredging limits, required depth and existing conditions. There are 3 calibration checks that are critical for the accuracy of the dredge positioning system: the depth calibration, bucket horizontal position calibration, and the dredge heading calibration. 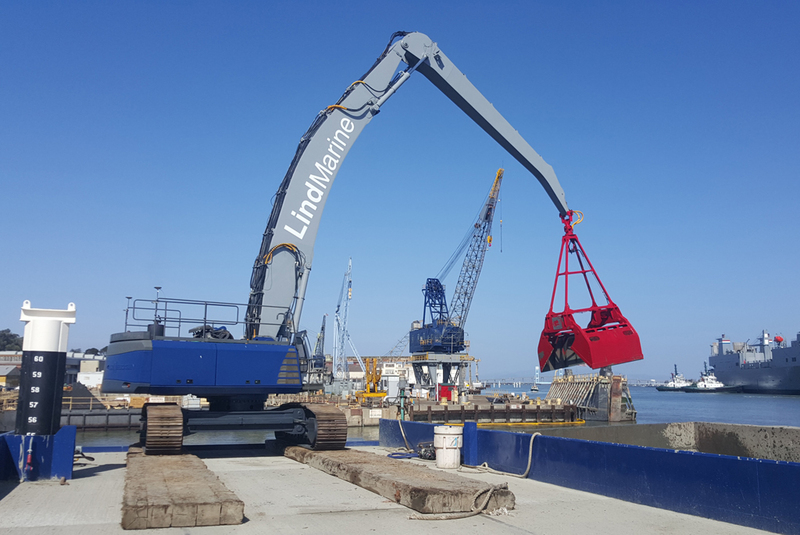 Lind Marine is the only source in the Bay Area for hydraulic-powered, closed tine dredge grapples, which allow for more efficient material handling. Lind Marine also offers buckets ranging from 2.5-4.5 cubic yards for material re-handling. 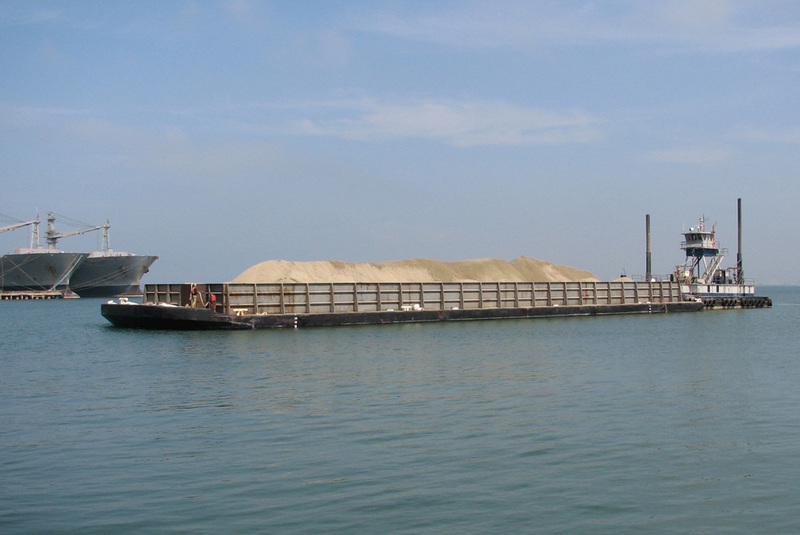 Multiple hopper barges in a variety of sizes allow Lind Marine to efficiently accommodate a wider scale of dredge projects and related material re-handling. The dredge Sonnee Delight is a uniquely staged excavator barge consisting of a 120 foot long by 40 foot wide barge up-fit with a Sennaboggen 870 material handler configured for up to -52 feet of excavation. The crane cycles a 5 cubic yard level-cut digging bucket. 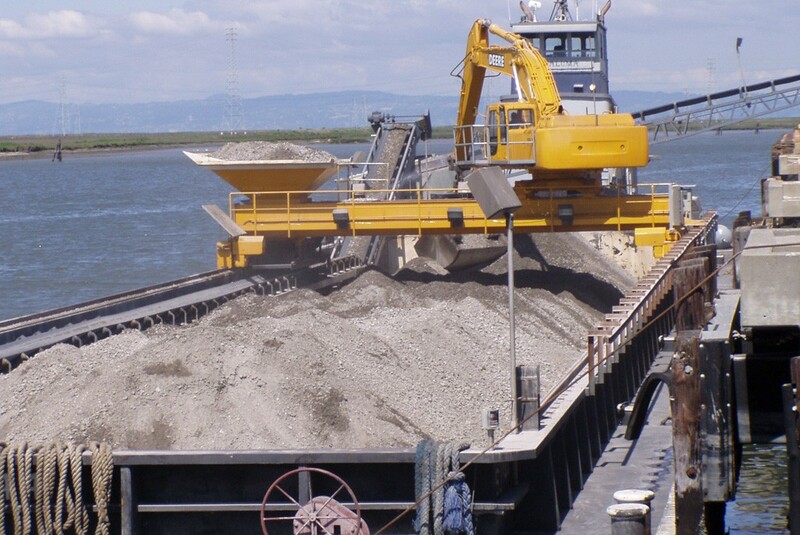 The Gretajean Lind barge is ideal for both mechanical dredging and off-loading dredge spoils. The vessel consists of a 120 foot long by 53 foot wide spud barge with an E-Crane 1200 Material handler pedestal mounted to the deck. 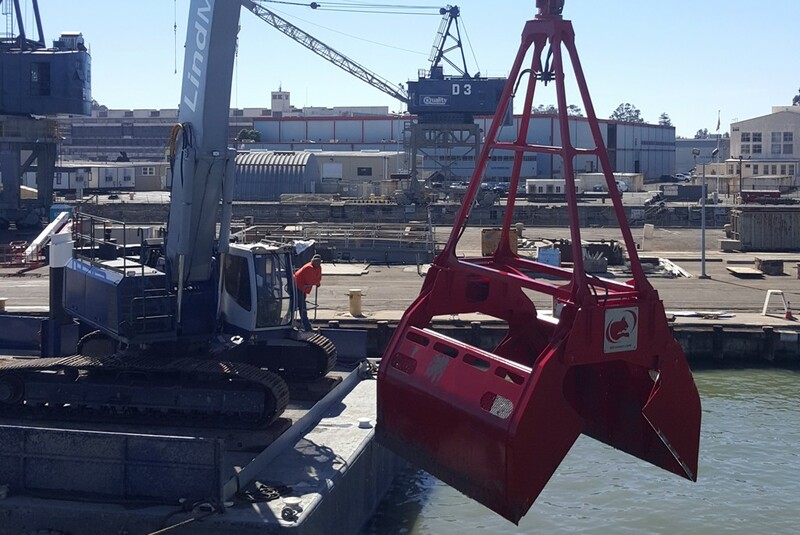 Offloading is accomplished by means of an 8 cubic yard clamshell bucket attached to the E Crane 1500. This barge also features fully electric-powered dredge capacity at 6-9 cubic yards of bucket capacity. 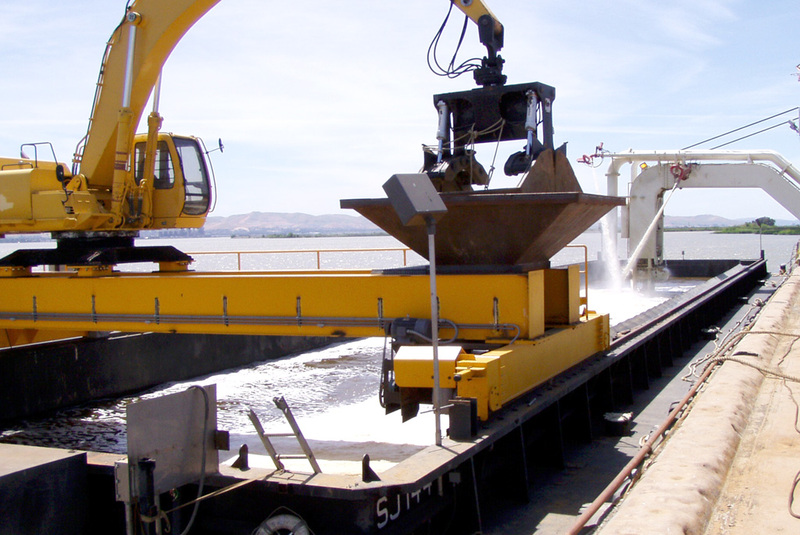 The barge’s unique dredge configuration features a fully sealed environmental level-cut dredge bucket.